From the Wikipedia site we learn that Finlandia, Op. 26 is a symphonic poem by the Finnish composer Jean Sibelius. The first version was written in 1899, and it was revised in 1900. The piece was composed for the Press Celebrations of 1899, a covert protest against increasing censorship from the Russian Empire, as the last of seven pieces, each performed as an accompaniment to a tableau depicting episodes from Finnish history. 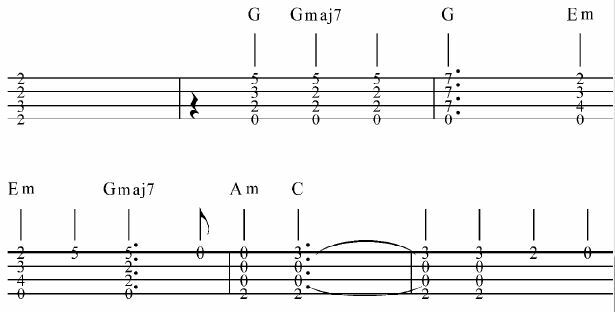 I was so delighted one day when I discovered that by simply playing a G major chord on the ukulele the melody of FINLANDIA presented itself. I the discovered the very simple progression that allows it to be played to nicely on the ukulele. My arrangement of FINLANDIA is what is termed a Chord/Melody arrangement. That means that in most cases by simply down strumming the chord the melody rides on the top or first string. So the entire piece is played only with the thumb in a downward harp like rolling fashion. Using the harp like roll gives the ukulele a fuller sound and expands the character of the piece. It’s vitally important not to play this with a metronome. It should be played very freely with what we call a RUBATO style. Allows plenty of breathing room between the chords. Never rush this piece. Although the ukulele has little sustain allow the uke to sustain as physically capable of the instrument. To also aid in providing more sustain hold the chords down firmly. Don’t let up pressure on the strings prematurely as this will disconnect the strings from the frets and cause the sound to terminate instantly. Therefore, do not lift the fingers until the very last moment you wish to change the chord. I have provided a full tablature arrangement of Sibelius and below are two small examples of the tablature. 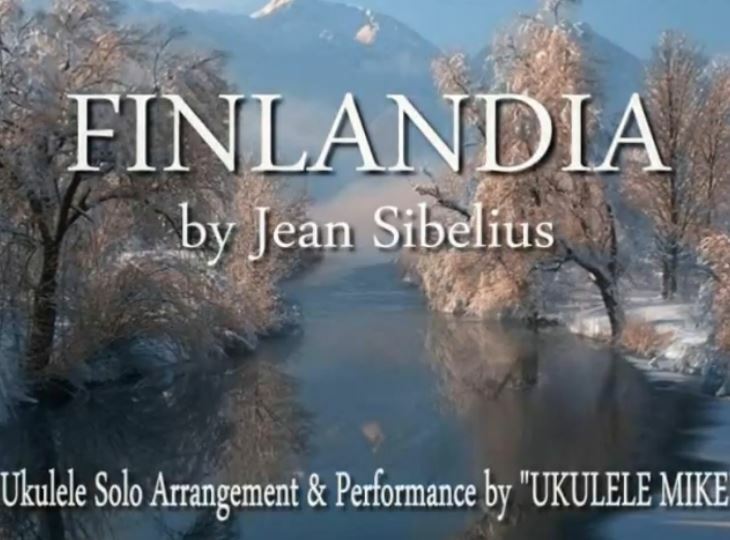 Below is a comprehensive video tutorial of FINLANDIA that I did on You Tube awhile back. Here is a very nice rendition of my arrangement of FINLANDIA done by one of my followers on You Tube. 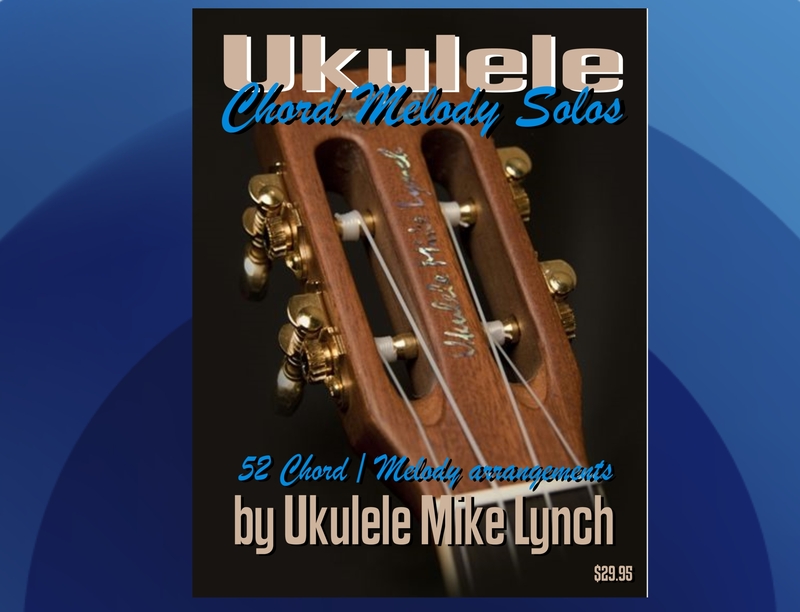 my website: http://www.ukulelemikelynch.com Once purchased it will be emailed to you within the day.